Dalco understands that every tank, vessel, pipe and pump is critical to your process. That’s why we believe it’s best to be proactive and protect them from corrosion before they enter service. 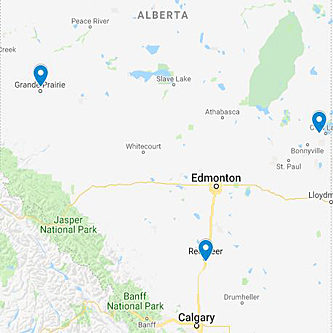 Shop facilities centrally located in Red Deer and Bonnyville perform in-house sandblasting, painting and coating services. Having work performed in-house means Dalco can protect your assets in less time and at lower costs. Dalco prides itself on listening to its clients and then working to find solutions to their unique corrosion challenges. For years, Dalco heard how impressed people were with the high chemical and temperature resistance of the 100% Solid Epoxy Coatings and also of the frustration of corrosion on internal pipe surfaces. 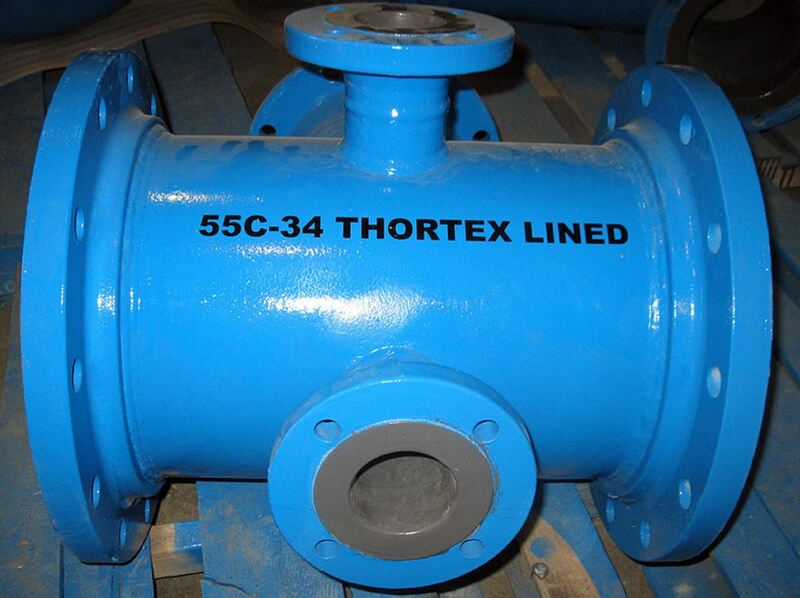 Companies needed the corrosion protection of the 100% Solid Coatings applied internally to pipes. The problem was they were being told that it was impossible to apply 100% Solid Materials to pipes internally. Seeing this need, Dalco developed an internal pipe lining rig capable of applying 100% Solid Coatings inside pipes 2” to 48” in diameter and up to 20 meters in length. This internal pipe spraying system uses an automated lining procedure, which generates detailed spool printouts of computerized coating data. Dalco is the only company in Canada offering this specialized service. 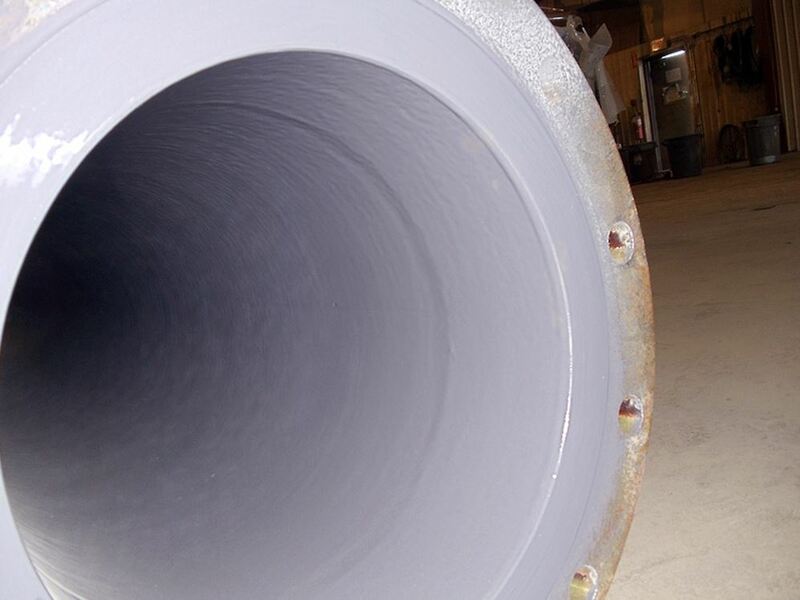 Along with this specialized 100% Solid Coating service, Dalco also offers internal pipe lining with conventional solvent based coatings such as Devchem 253, Highland Chemtemp 74 and many others. To ensure that clients receive full service pipe corrosion protection Dalco also offers customized external pipe painting and identification. 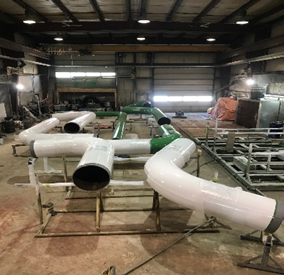 Whether you are externally painting pipe as a method of corrosion prevention or for line identification, our facility can handle projects of any size. 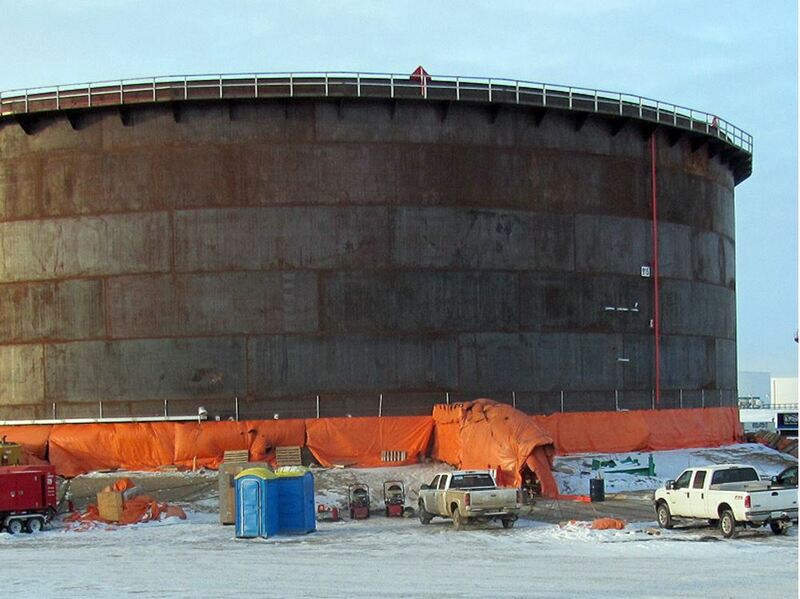 Dalco has extensive experience internally lining and externally painting tanks and vessels, both in-house and in-field. Whether the tank requiring lining has a 4 foot or 200-foot diameter, Dalco BrandSafway can create a plan to abrasive sandblast and paint or coat the required surfaces. Having trouble with a certain tank style or service? We have probably dealt with the problem before. 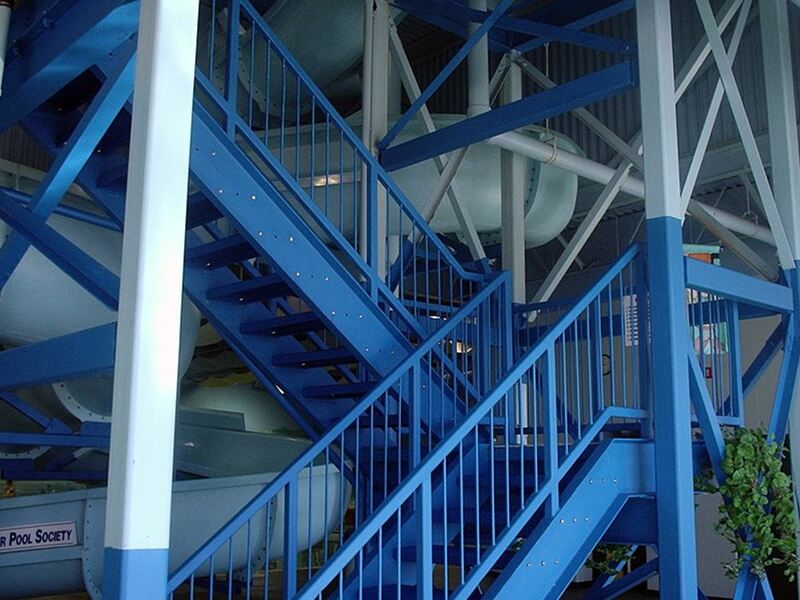 Several years ago a client approached Dalco for a solution for their WAC vessels. The existing rubber liners were failing and would be difficult to replace. Dalco replaced the rubber liner with a 100% Solid Epoxy Coating. The client was so impressed with the results they have made the coating standard practice for all WACs at their facility. Structural steel for installation both above and below ground is the foundation of your facility and often requires coating. These items frequently have unique needs. Dalco’s team works with clients to customize solutions that will protect structural steel regardless of the service it is entering. The potential for a fire emergency is a dangerous reality at every industrial site. Applying Intumescent and/or Cementitious Fireproof Coatings to structural steel and other assets at your facility provides piece of mind that there is a front line defense in place to save lives and protect your facility if a fire emergency should ever occur. Rebuilding of channel heads adds longevity to your assets and lowers costly replacement expense.